Wild animal trapping for squirrels, raccoon, skunks, opossums is common in Southern California because they can easily get into a home through small holes. Telltale signs an animal has got in include noises from the attic or animal droppings located in crawl spaces or in an attic. These feces can cause allergic reactions in people and can lead to diseases including Hantavirus, a potentially deadly virus. To best protect your health and home from squirrels and other pest intruders, Rodent Guys are properly licensed and trained for wildlife pest control and can offer the expertise you are looking for. Rodent Guys Gopher and Pest Control follows the laws as set by California Department of Fish and Game. For information about these laws please see our animal trapping laws page. If you are hiring nuisance wildlife control company please ask if they have a trapping license from the California Fish and Game. This is required by law and a pest control company is not licensed to trap raccoon, squirrel, skunks, etc without one. 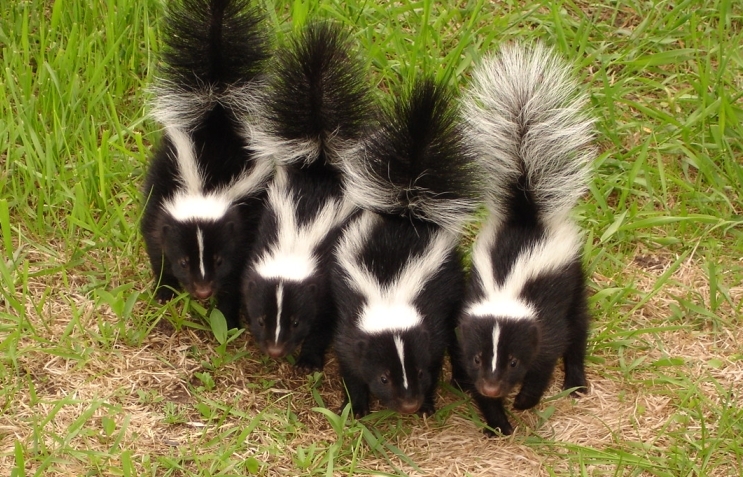 Skunks make their presence known when they enter your structure or even your yard. When they are close by you can smell skunks even after they left. When they enter your homes crawl space or your garage the odor can become too much. Rodent Guys skunk removal service may include trapping, excluding the skunks or both as well as deodorize the infected area. The deodorizing will lessen the odor quite a bit but some people will still smell them for several days or even weeks. The main thing to remember if you get a skunk in an unwanted area is to take care of it right away. Luckily you found Rodent Guys Animal Trapping and now you can get your skunk problem taken care of right away. If you hear noises in the attic, chances are you may have a squirrel problem. As temperatures start to drop in the fall, squirrels enter houses looking for warmer areas and a place to nest for the winter. 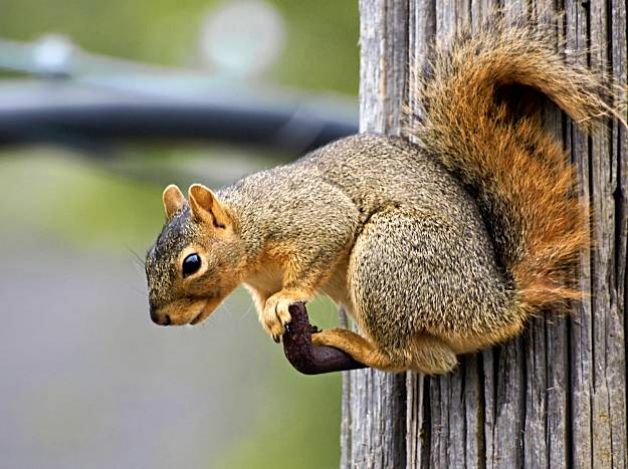 Squirrel problems can be considerable for homeowners. Squirrels make openings in the exterior trim or siding of your property from which they will gain entry. Once the hole has been made they can continue their damage by gnawing on electrical wires. This chewing could cause a short in the wires and even a fire. Additionally, squirrels can be transporting fleas and other unwanted organisms. Getting rid of squirrels may not require squirrel extermination. Rather, our trained and licensed squirrel control specialists will locate and close off all entry points. This will prevent squirrels from entering your residence. A one way door can be installed to let out any squirrels still in the home. In addition, our wildlife control services include live trapping and removal. For more information on Rodent Guys squirrel exterminator services (exclusion and removal), please call us to discuss your situation. Raccoon are primarily nocturnal mammals that feed on berries, insects, fruit, chickens and small mammals. Although they live mostly in wooded areas, they adapt very well to urban and suburban areas. They like to find a new home beneath a deck or in an attic or a crawl space. Once they have gained access they will raise their young in these spaces. 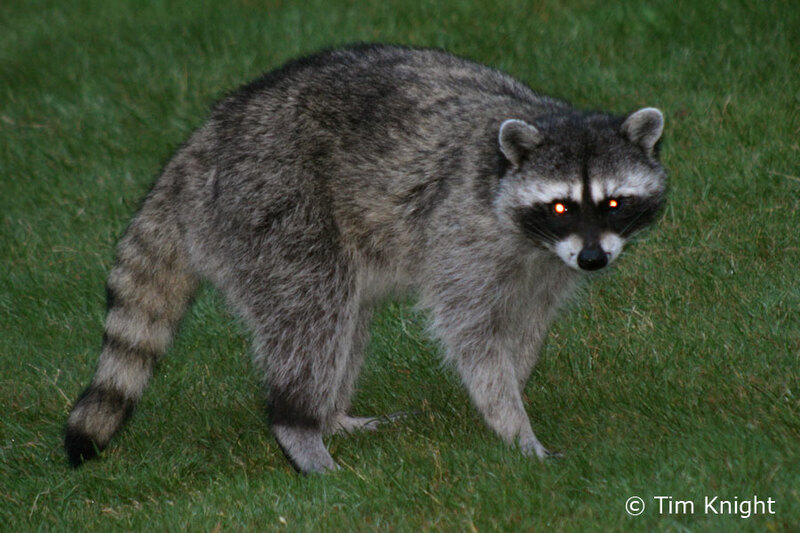 Raccoon are known to be carriers of rabies and that their droppings are very unhealthy to humans. They are well adept with their hands (such as opening garbage cans, removing siding, tearing off shingles, etc. ), they are very strong animals. Because they can be a real danger to your health and property,raccoon control service is crucial in defending your house and family from these harmful pests. Getting rid of raccoon in or around the residence does not always require raccoon extermination. Instead, Rodent Guys raccoon control specialists can use one way doors to let the animals leave and not return into the structure. When this is not possible we can catch and remove these pests via live trapping methods. We follow State of California laws for removing trapped animals. To keep raccoon from reentering your home, our raccoon technicians can also perform exclusions procedures. This involves using metal flashing and metal mesh to close off any and all possible entry routes or in some cases re-construction of the entry area. Although these are optional services they are greatly recommended. Unless you are familiar with doing these exclusions it is suggested to allow the professionals like Rodent Guys to do them for you. Additional raccoon wildlife control services include removal of infected insulation, installing new insulation as well as repair of any damaged areas. Opossums are the sole North American marsupial (females have a pocket on their belly where they transport and feed their babies). Mature possums are approximately two feet in length and weigh about ten pounds. They are nighttime mammals that are omnivorous, great at climbing and are known to act dead play possum as a defensive measure. 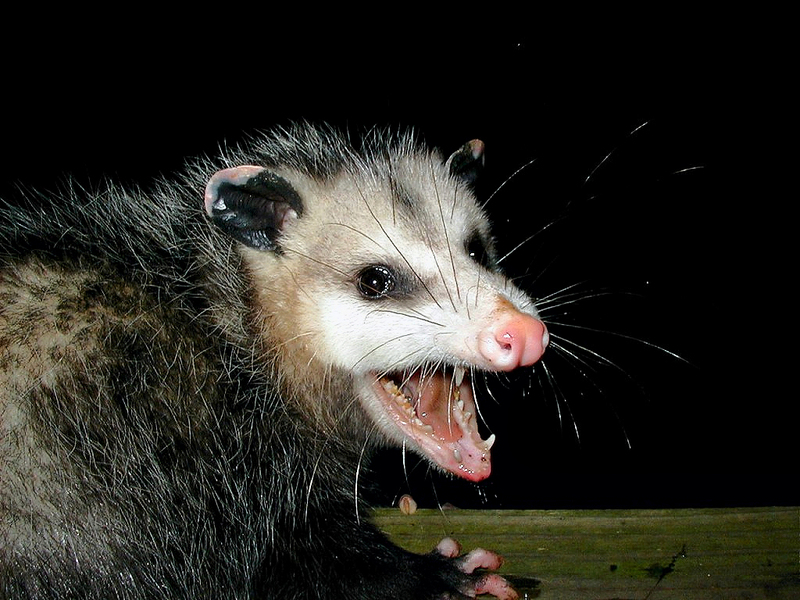 Opossums are a nuisance and danger to homeowners because they settle down in attics and their large droppings carry various parasites and diseases. They are also well known to take garbage, dog food and harass pets. Rodent Guys opossum control professionals have the experience and knowledge in many types of wildlife control to keep your home and loved ones safe from these and other pesky pests. Contact our opossum removal specialists today for your free home evaluation. Rodent Guys wildlife control technicians are specially equipped to deal with most suburban and urban wildlife control issues. As part of the protection, our wildlife pest control company include raccoon removal, skunk removal, bat eradication, opossum removal, squirrel control as well as protecting your residence against pest such as snakes and more. Our wildlife control service professionals remove them from your home, we will find out how the annoyances are finding their way in and provide a thorough wildlife control plan to stop them from getting in. In addition, raccoon and opossum feces are transporting diseases and parasites so it should be number one priority to call a specialists to extract the dirty insulation, and install new insulation as well as repair any damaged areas. Quite a few house owners may not know but these services are typically covered by your homeowners insurance. Los Angeles County: (We service nearly all of Los Angeles County including the following cities) Los Angeles, Sunland, Calabasas, Pasadena, Long Beach, Azusa, Studio City, Sherman Oaks, Encino, Arcadia, Monrovina, Bradbury, Duarte, Irwindale, Glendora, La Verne, San Dimas, Walnut, Diamond Bar, Claremont, Whittier, Hacienda Heights, La Mirada, Malibu, Santa Monica, El Monte, Alhambra, Temple City, San Marino, La Canada, Altadena, South Pasadena, Covina, West Covina, Pico Rivera, Pomona, Sierra Madre, La Crescenta, Montrose, Tujunga, Mission Hills, Playa Del Rey, Beverly Hills, Brentwood, Bel Air, Hollywood, West Hollywood, North Hollywood, Burbank, Glendale, Van Nuys, Woodland Hills, North Hills, Chatsworth, San Fernando, Northridge, Reseda, Monterey Park, Rosemead, La Mirada, Sante Fe Springs, Norwalk, Belflower, Downey, Lakewood, Cerritos, Marina Del Rey, Rowland Heights, Montebello, Carson, Compton, Lynwood, Inglewood, Culver City and surrounding cities. San Bernardino County: (We service out to Redlands and as far north as Devore) San Bernardino, Upland, Rancho Cucamonga, Alta Loma, Fontana, Highland, Redlands, Loma Linda, Colton, Ontario, Chino, Chino Hills, Devore, Rialto, Montclair and surrounding cities. Riverside County: (Along 15 freeway from Clinton Keith Rd and North) Riverside, Eastvale Norco, Jurupa Valley, Mira Loma, Corona, Lake Elsinore, Wildomar, Moreno Valley, Lake Perris, Lake Mathews and surrounding cities. Orange County: (We Service All of Orange County) Brea, Orange, Garden Grove, Tustin, Westminster, Irvine, Lake Forest, Mission Viejo, Rancho Santa Margarita, Fullerton, Anaheim, Anaheim Hills, Stanton, Yorba Linda, Placentia, La Habra, La Habra Heights, Cypress, Buena Park, Laguna, San Clemente, Trabuco Canyon, Stanton, and surrounding cities.